Categories: Adoption Parenting, Attachment Disorder, Teen/Older Children. Adopting Older Children addresses the most significant challenges surrounding older-child adoption (both domestically and internationally), including mental health, behavioral, and educational concerns. 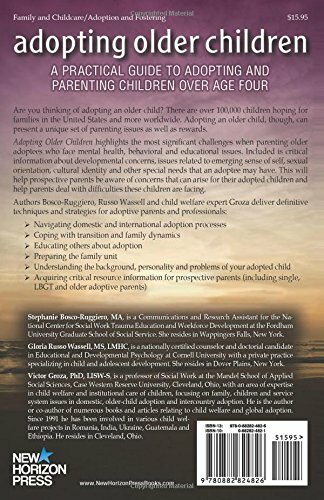 This thorough guide enumerates the issues an older adopted child faces and provides a comprehensive overview of problems and how adopting parents can successfully deal with them, including critical information about developmental issues; problems related to the adoptee’s emerging sense of self, including sexual orientation and cultural identity; and other special needs that children may have. Adopting Older Children provides prospective parents the essential tools for coping with transition and family dynamics, educating others about adoption, and understanding the personality, background, and problems of an older adopted child. It also provides a comprehensive methodology for coping with a traumatized child who faces grief and loss, attachment issues, difficulty with development and learning, or physical or mental health concerns, as well as critical resource information for single, LGBT, or older adoptive parents. 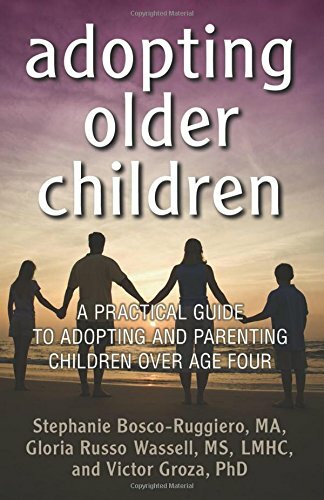 Adopting Older Children furnishes key parenting strategies, insights, and resources in a clear yet sensitive style, the definitive handbook for adoptive or foster parents and professionals.